Molly Gebrian has distinguished herself as an outstanding performer, teacher, and scholar throughout the US and Europe. Her love of contemporary music has led her to collaborate with many composers, often in premieres of works written for her, and she has worked closely with the Ensemble Intercontemporain and Pierre Boulez for performances at the Lucerne Festival. In 2011/2012, she spent a year in Paris to undertake an intensive study of contemporary music with the violist/composer Garth Knox. In 2010, she designed a performance project entitled “Trios for Two,” which resulted in seven brand new works for viola and piano/percussion (one player) with pianist/percussionist Danny Holt. This music has been performed in Houston and Los Angeles, and the project was recently featured in Los Angeles at REDCAT (in Walt Disney Concert Hall). In the 2016/2017 season, they toured the U.S. to celebrate the release of their Trios for Two CD on the Innova Recordings label. For more information, please see the Trios for Two page. In addition to Garth Knox, her principal teachers have been Peter Slowik, Carol Rodland, and James Dunham. Molly completed her Doctor of Musical Arts in viola performance from Rice University’s Shepherd School of Music and also holds a Masters of Music and Graduate Diploma in viola performance from the New England Conservatory of Music, and Bachelors degrees from Oberlin College and Conservatory of Music, in both viola performance and neuroscience. One of her biggest passions is understanding how people learn and experience music, which has led her to collaborate on neuroscience research with leading scientists on music and the brain. She served as the Assistant Director for two interdisciplinary conferences on music and the brain while at Rice, has published papers dealing with music and neuroscience in the Journal of the American Viola Society, Frontiers in Psychology, Flute Talk Magazine, and The Strad, and teaches an honors course on music and the brain at the University of Wisconsin-Eau Claire. Her background in neuroscience gives her unique insight into how the brain learns and how musicians can best use this information to their advantage in the practice room. Given this expertise, she is a frequent presenter on topics having to do with music and neuroscience at conferences and at schools and universities around the country. As a teacher, she has taught recent masterclasses at Interlochen Arts Academy, Ithaca College, Lawrence University, the University of Michigan, the University of Northern Colorado, the University of Wisconsin-Oshkosh, and Vanderbilt University, and was invited as a guest artist/teacher/lecturer to the Polish Viola Forum in Poznan, Poland in April 2017. In addition, she has been a faculty member at the Sewanee Summer Music Festival, the Montecito International Music Festival, and the International School of Stuttgart. 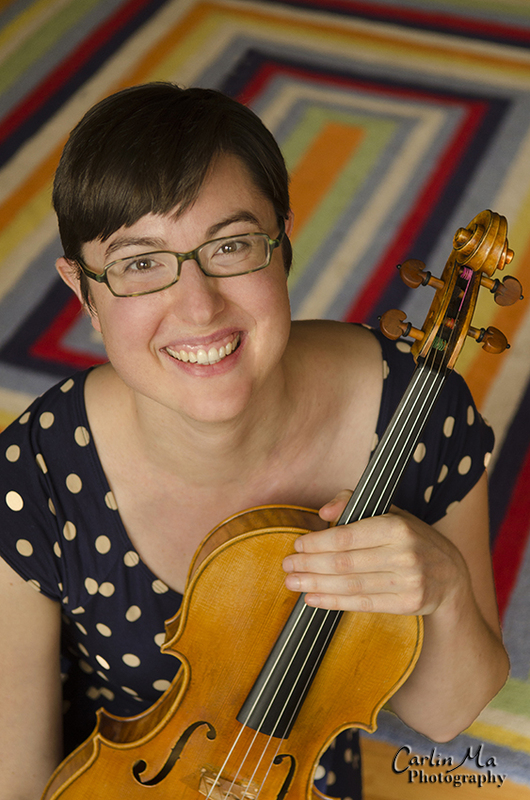 Since 2014, she has been the Assistant Professor of Viola and Music Theory at the University of Wisconsin-Eau Claire.